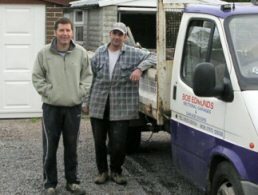 Robert Edmunds Sectional Garages is a family run business with over 30 years experience. Although over the years we have grown, we still base our business around providing a friendly personal service for our customers. We also offer a free service from obtaining Planning Permission (council charges may apply) to completion. 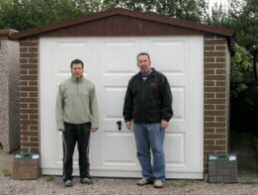 At our show room site we have on display a number of sectional garages. Including three Compton Garages listed on this website (including Banbury Apex, Spar Apex and Spar Flat). Within our current range of Hanson Garages will also have on display a Hanson Spar Apex with a sectional door. You are welcome to visit us to see the garages we have at any time, however if you would like personal attention to ask questions, please contact us to book an appointment. We will visit your property to provide a free, no obligation site survey and estimate and can be very flexible to meet your needs, please do not hesitate to contact us. • We offer the highest quality from start to finish and more.